I tried the Cantu Deep Treatment Masque last week. It was my first Cantu product ever and honestly I only tried it because my sister bought it. I learned a lesson this wash day. When you NEED your hair to bring it's A game, stick with what's proven to work. Last Saturday was the Project Loving You shoot (I'll post on the event in a couple days) so you can imagine, I wanted my hair poppin'. Detangle and hot oil prepoo: with olive and coconut oil mixed. Shampoo: Shea Moisture Yucca and Plantain Anti-breakage Strengthening shampoo. Also my sister's, also my first time using it. I didn't have high hopes for this one- Shea Moisture shampoo reviews are generally lukewarm. Just as I expected it just cleaned. No premium features like slip, moisture, etc. So vanilla. Deep Condition: Cantu Deep Treatment Masque. I applied it to damp hair, covered and wrapped up for heat, left in for almost 3 hours, then rinsed. Very thick, no slip. I had hoped to get some detangling done but it wasn't helping. It didn't sink into my hair easily. I was careful not to use too much and yet there was a white cast, like it was just sitting on top. Smelled scrumptious. At least that part was good. It smelled like pineapple, very yummy. I love pineapple. The white cast was gone when it was time to rinse so it must have finally sunk in. Unfortunately my hair didn't feel like it had gained anything when I rinsed. It was like spending hours on a movie and getting the credits instead of the climax. My hair wasn't any softer or moisturised. I was too tired to try to do anything about it. I just used my leave-ins on damp hair and hoped for the best- Shea Moisture Superfruit conditioner mixed with shea butter; final seal with a drop of olive oil per section. 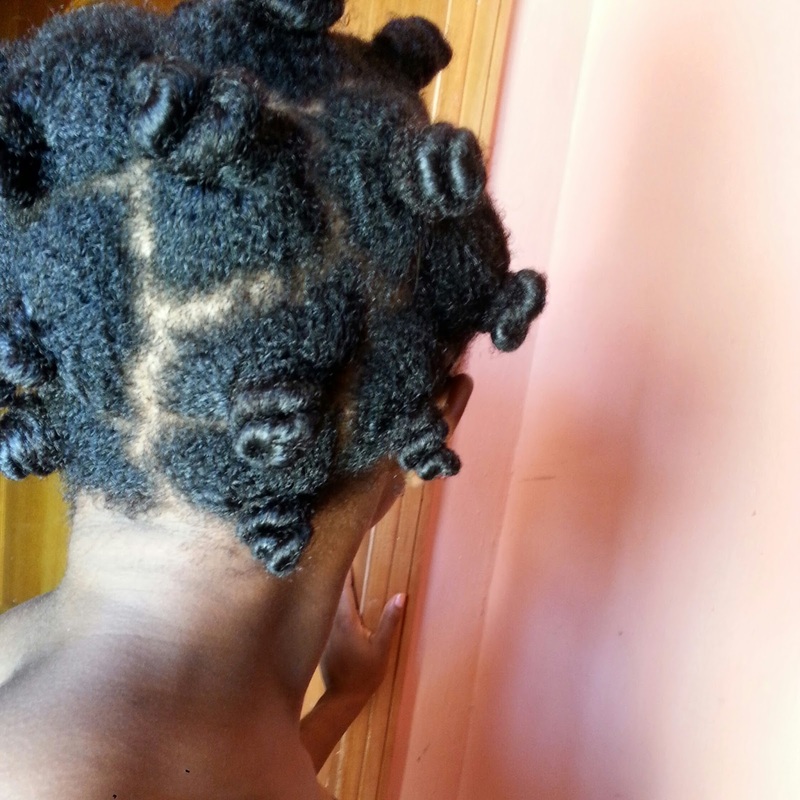 Style: Medium-sized bantu knots to stretch. I took them out the next morning and fluffed my dry 'fro with an afro pick. DRY hair the morning after wash day. A travesty! Another thing I was reminded of: Read reviews. If I had, I would most likely have passed on the Cantu. While we chilled at the venue of the Saturday event, I shared my sob story with Ekene and Oyime. 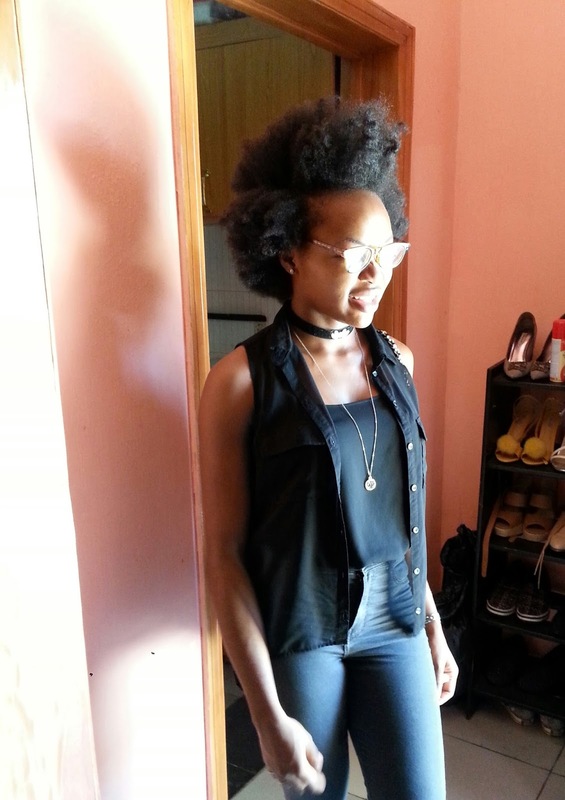 Ekene was not surprised, she's skeptical about other Cantu products besides their leave-in conditioner. Oyime has actually used the Cantu masque before and she noticed dryness and breakage until she stopped. If you still want to try the Cantu, Konga carries it. i know I've seen it at Casabella as well. By Saturday evening, my hair was breaking with reckless abandon. I did the LCO (Liquid, cream, oil) method with water, conditioner+shea mix, and olive oil. Then I gathered my protesting hair into six cornrows for the week. 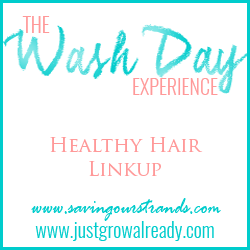 Next wash day I'm sticking to what works for me. 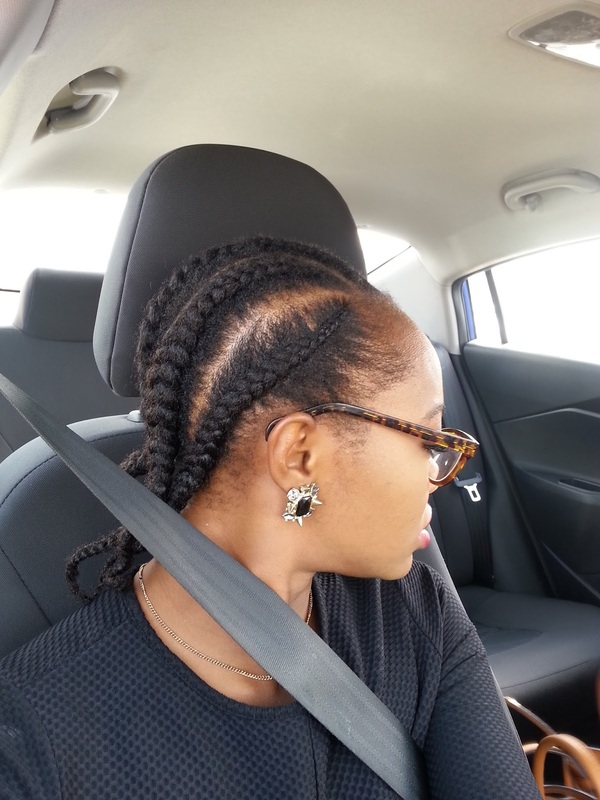 For the cornrows, I love! but the volume of positive feedback on this style surprised me. I guess we all love simple. Ugh. Sorry about the Cantu conditioner. The only product that I've tried from them is the Creamy Hair Lotion. It works sometimes but my hair gets used to it quickly. How was the event last weekend? It was so good! I was hoping you'd come. 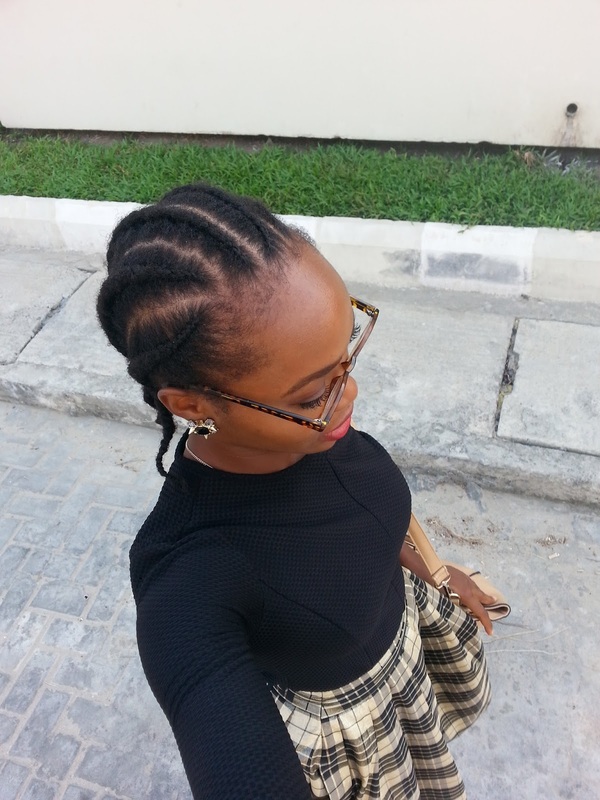 The cornrows are cute...your outfit is another cute one too :-). Wow was looking forward to buying a new cantu product. Thanks for the heads up, I'll check the reviews before I dive in. I'm refering to the scuba top and checked shirt number. It's a winner! Sorry again about the Cantu! Re: Shampoos, I don't have high expectations- expecting them to detangle or anything like that. My friend loves the Beautiful Textures shampoo and it's not up to 2k, so maybe you could try it! I like my L'Oreal Ever Creme but I think it has silicones, so maybe if you don't mind cones, you can try that as well. It kind of has slip. I've used a few shampoos that detangle too- Creme of Nature Argan oil shampoo was BAE. Nothing like it. I gave it up with the rest of the chemical-laden stuff. Bobeam Shealoe shampoo bar was also amazing in every way. I wish I could try the L'Oreal but I have to stick with the natural stuff. Shea Moisture is one of those hit or miss lines. I love the Curl enhancing smoothie. But I really couldn't STAND the rest of the line. It's so disappointing too! But can I get an AMEN for that fro?!?!?! In all of it's fluffiness deliciousness!!!! Awww and I love Shea Moisture usually. I read loads of reviews, so there are stuff I may never try from them. I only recently bought the curling gel souffle from that line. I like the raw shea conditioner and the African black soap purification masque. Oh no sorry for that. I have been longing to buy the masque from the reviews I read, but now I don't know. I cannot honestly recommend it based on my experience, but you know, your hair might react differently. Who knows? I love the blog layout, so nice. I like ur organic product haul, I want that Argan oil. Omg, Sandra... I absolutely love the blog's new look. It's simply fantastic!!!! Well done! Fiwa! :D Thank you. Whoop! Sorry for the Cantu......I really likee ur blog. 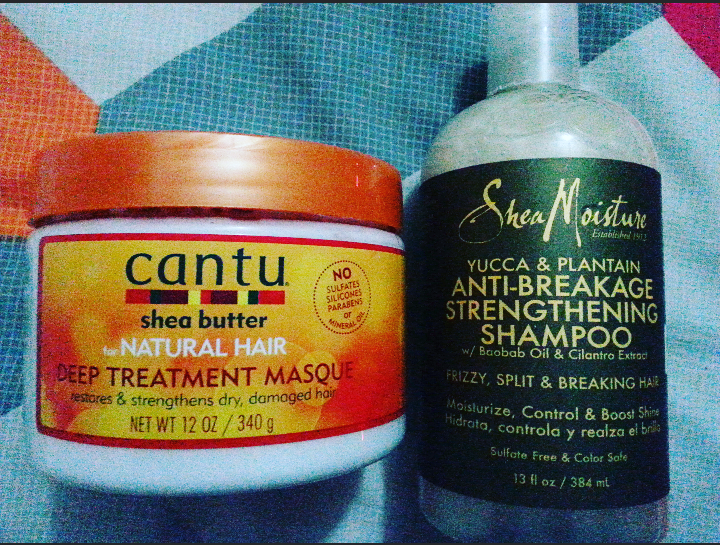 I've used 3 cantu products..and loved only the leave in conditioner. The cornrows really look good. There is just something about simple hairdos.